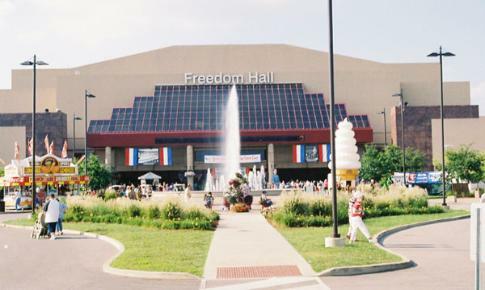 The Kentucky Exposition Center (KEC), formerly Kentucky Fair and Exposition Center (KFEC) was originally built in 1956. KEC is a large multi-use facility in Louisville, Kentucky, United States. It is overseen by the Kentucky State Fair Board, and is one of the ten largest facilities of its type in the U.S., with over 1,200,000 sqft of indoor space. Calhoun Construction served as the General Contractor building a DAS Room for their new telecommunications system. Calhoun self-performed the metal stud framing, drywall hanging and finishing, ceiling, and paint.